This breakfast of rainbows was inspired by my wonderful mother….but might also have had something to do with the fact that my new cookie cutter shapes arrived yesterday and I was excited to experiment! It has 18g of protein and 54% of my daily fibre intake, along with the added nutritional benefits of the very antioxidant rich Acai and beetroot powders. Despite their teeny size, Chia seeds are actually nutritional powerhouses themselves full of Omega-3 fatty acids a range of essential micronutrients. It can be made the night before and it lasts 2 days in the fridge. Looks like a lot of effort but is actually minimum fuss! · In a bowl, mix the Chia seeds, brown rice syrup, vanilla extract, yogurt and milk; making sure they are well mixed. · If you have any coloured superfood powders and nested cookie cutter shapes, then separate this mixture into a few small bowls. Otherwise set aside in the fridge to set as it is — it is just as delicious! · Add a tsp of different colour powders to each bowl (beetroot for dark pink, Acai for purple, Goji berry for orange-y) and stir through thoroughly. · Set the cookie cutters in a larger flatter bowl (like one meant for pasta) and pour in. · Put in the fridge to set for at least 20 minutes — I like to do mine the night before to save precious time in the mornings. 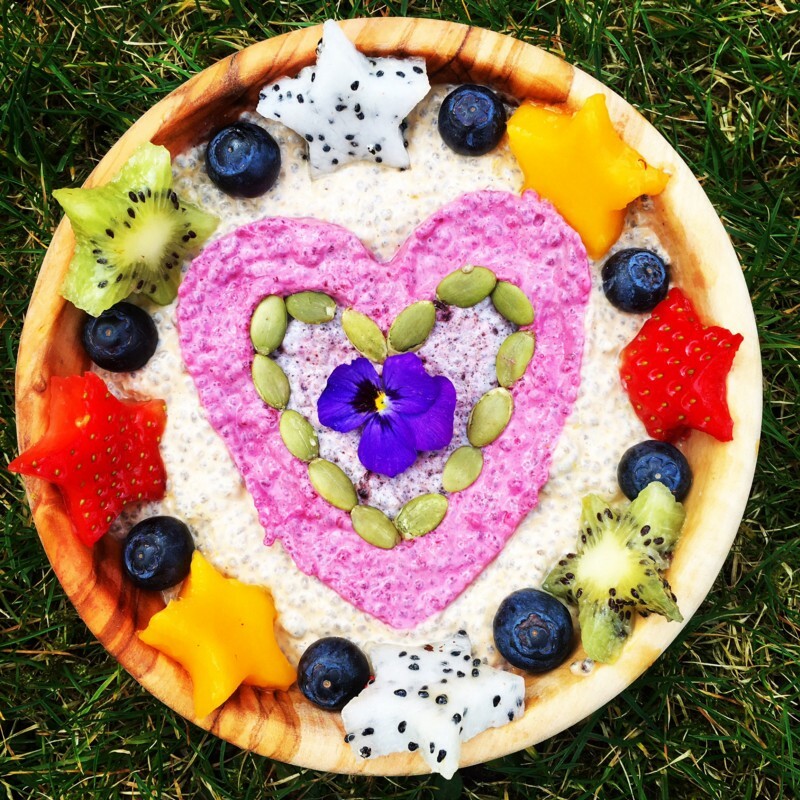 · Decorate with fruit and pumpkin seeds and enjoy!